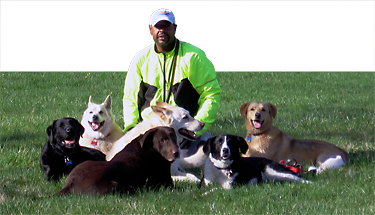 We strive to help owners and their dogs build a healthy and rewarding relationship based on mutual love, respect, clear communication, praise, and regular exercise. We want you to be able to fully Unleash Your Dog’s Potential – Crawford’s Canine Services will help you achieve that goal. It is our mission. Our Goal is to teach the owner the fundamentals of leadership from the dog’s point of view so that the owner can be an effective handler and pack leader by consistently reinforcing obedient behavior using positive touch and tone. Obedience is a way of life and a value system; it’s not a trick. Always put more weight on the positive than the negative.